10 Years of Business Lessons–Chapter 5: Oops! Did I Sell the Wrong Program? 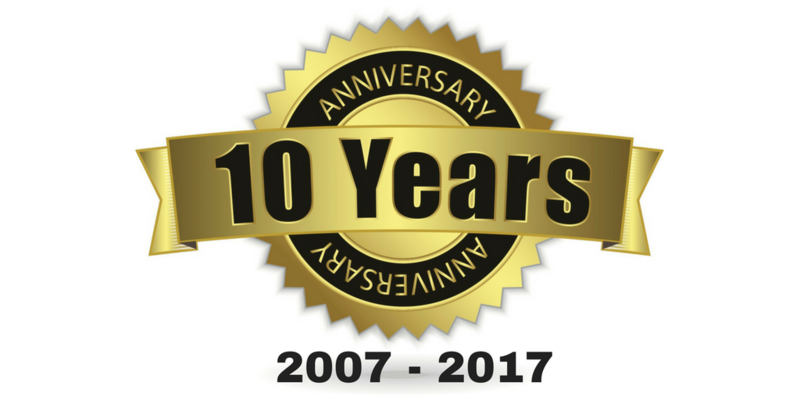 On February 27, 2017, I will celebrate the 10th-year anniversary of the launch of my second business, Inspired Leaders’ Academy. This is a series of excerpts that tells the story of these ten years to help you navigate these same waters more easily and faster! Read chapters one here, two, three, four. I did a lot of things right as I launched my second business (unlike my first coaching practice, where I did most things wrong). One of the things I did correctly was give my target audience a single focus for my business: my public speaking training. They knew what I did and had just one potential action: to learn this methodology. I didn’t have an array of options. I had one. I cannot underscore how key this is! Your business “store front” must indicate just what you do, very clearly, no confusion. And the best way to do that is with a “signature program”; this is, at the start, the identity of your brand. It bears repeating that being crystal clear with one offering is key to being successful early on. That one offering must be a program that has shape and form: with a name, a specified duration, a process (another key: a proprietary process) and very specific deliverables. I could go on for an entire book about this, but sometimes less is more, so let me repeat this: early service businesses must guide a targeted market to just one main offering that teaches a proprietary methodology. 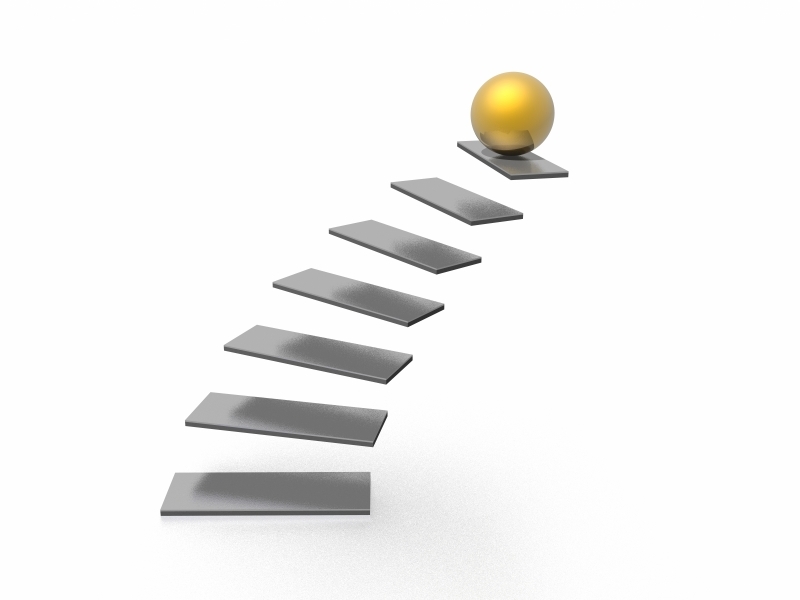 create a second program (with name, duration, proprietary process and deliverables) that your clients/students from your initial signature program “ascend into.” In this new program, they are learning the next set of skills, or moving to the next level of transformation. This is something Harv Eker taught us, though he called it having a “progressive line up of services.” Long ago, I began calling it the “ascensions model.” Same thing. To grow (vs. launch) your business, this is a must. Why? Because rather than always searching for a new client, you want to me smart and keep a client as long as possible. This reduces your marketing costs and the headaches that come with it, for one thing, but is another stream of income. About three years into my business, I began to see a glaring need in those who were attending my public speaking training. Many would hire me to help develop their “experiences” (I taught them to use this word in place of ‘presentation,’ ‘workshop,’ ‘seminar,’ etc.) and the problem was revealed when I asked where the experience fit in the strategy of their business. “I don’t know what you mean,” they would say. Essentially, they just wanted to give any old workshop or talk; they wanted to get out there with something. I asked them what they hoped the talk would accomplish, what would folks do as a result of attending? To answer that, though, they had to know who would be attending. Most of them didn’t know. They thought in terms of “people,” not a targeted group. Then, when we discussed content, it had no theme consistent with their business; they really had no brand identity. Their “experience” was not going to clarify who they were. Oh, boy, I thought. Have I been selling the wrong program? They’re not ready for the material in my public speaking training—their businesses aren’t strategically developed! And so, I created my second program, which while logically should have preceded the public speaking content, was offered to those who had attended that training. My ascension model had begun. 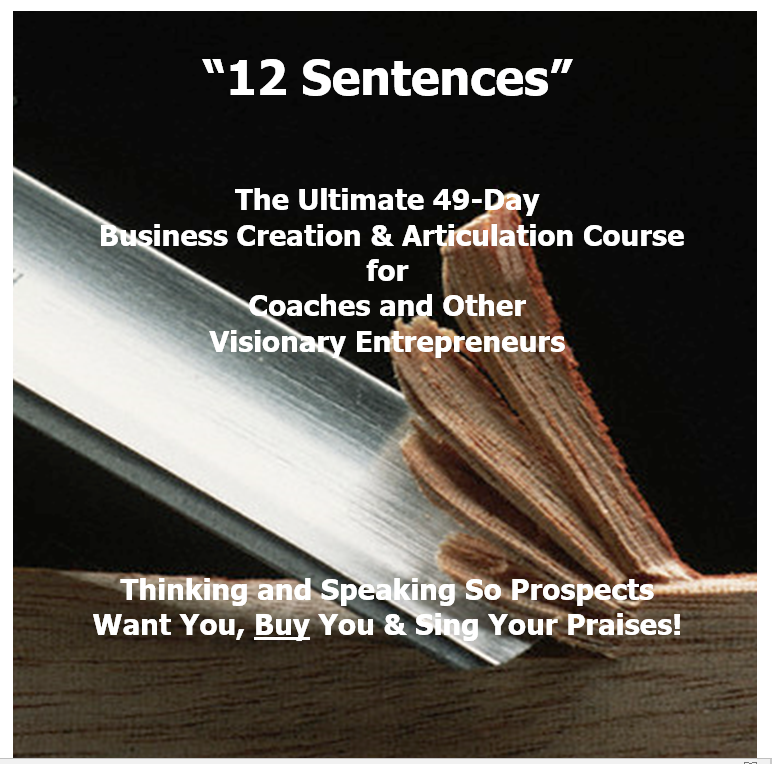 I was smart enough, though, to offer this new program to those on my list who had never attended Secrets of Impact and Influence and soon I was teaching “12 Sentences” to new as well as familiar folks. “12 Sentences” was unique. As a communication strategist, I knew that only good thinking can produce good articulation. And I knew that good articulation (what the business achieves and how it is different from all others) was job number one for any business owner. But for some reason, few understand how inadequate their articulation is. So, this virtual group class rolled up their sleeves and dove into some seriously tough thinking, using my Nine Strategic Inquiries Manual as a guide. Then, the course required them to take all of that good thinking and cogently answer 12 questions in single sentences. These were the questions prospects wanted to hear the most. I knew that when a business owner can articulate in single sentences, s/he knows the business cold. This program was aimed at getting people to know, and then describe powerfully, the value and distinction of their business…cold. For one year, I led both Secrets of Impact & Influence and 12 Sentences, and then phased out SII as a live training in 2012. This is when I was learning a few very important things about the needs of my market. The most important was that of all of the 12 sentences they had to craft, one stood out as the hardest. It was nearly impossible for them to answer: How are you different from everyone else? I have exceptionally high standards for that answer and very few in the class were meeting them. I was not okay with this. They were; they thought they had a unique differentiation because what they had was so much improved over what they’d had. But I knew they could have something much, much better. I’ll tell you what it is next chapter. This is a question you may face, too. that your business is strategically developed! that it is different from everything else offered in your field! that you have done rigorous thinking before you articulate your value! that you never forget this: Articulating your value is job #1!!! You need to be able to do it in single cogent and concise sentences. And never assume you are doing it well unless you get conversions.